Kenny's Tile & Flooring, Inc. has grown from a small family business that was established in 1954 to a thriving force in the Kansas City construction industry. 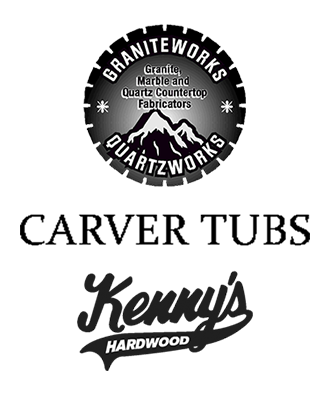 We continue to set the standard for residential applications of tile, natural stone, hardwood flooring, carpet, granite & marble countertops and whirlpool bathtubs. Our retail showroom is second to none, offering hundreds of in-stock tiles, hardwoods, granite & marble slabs and bathtubs that you simply won't find anywhere else. Our design and installation experts are all employees of Kenny's Tile, we do not subcontract our installation labor. By employing our own installation and fabrication teams we know and understand how each project will come together before the job even begins. Our estimators & designers will work with you to provide a beautiful design for your home with the confidence and peace of mind that comes from our unparalleled expertise and reputation throughout the KC Metro area. We purchase materials direct from our vendors and avoid the middle men so we can offer you exclusive products for less. Our amazing product line combined with our design and installation team allows you to enjoy a truly unique design on your next home improvement project. Come visit our showroom today or submit a free estimate request online to benefit from our commitment to your satisfaction.